It is likely you will encounter a difficult supervisor or bad boss at least once in your professional career. While many types of bad bosses exist, one type is particularly prevalent in the legal workplace. Your boss is intelligent, driven, and competitive. Your boss is time-challenged and high-maintenance. Your boss has high expectations but provides little feedback and guidance. Your boss is quick to give criticism and hard to please. Below are eight tips on dealing with this type of bad boss in the legal workplace. Bad Boss invariably calls at inconvenient and unusual times. While it may be tempting to avoid him, it is best to answer their phone calls, return their messages, and respond to their emails. When the conversation concludes, follow points four and five below. Make Bad Boss’s secretary, paralegal, junior associate, and other assistants your allies. These are the people who know him or her best. They can gauge his or her moods and advise you on how to handle him best. They are also able to give you fair warning when he or she is displeased with an assignment. Use this information to your advantage when dealing with Bad Boss. Mimic the hours of Bad Boss, if possible. If he or she arrives at the office early, you should arrive early as well. If he or she is a late worker or works Saturday mornings, you should do the same. Working their hours proves you are a ready, willing, and available employee willing to go the extra mile. 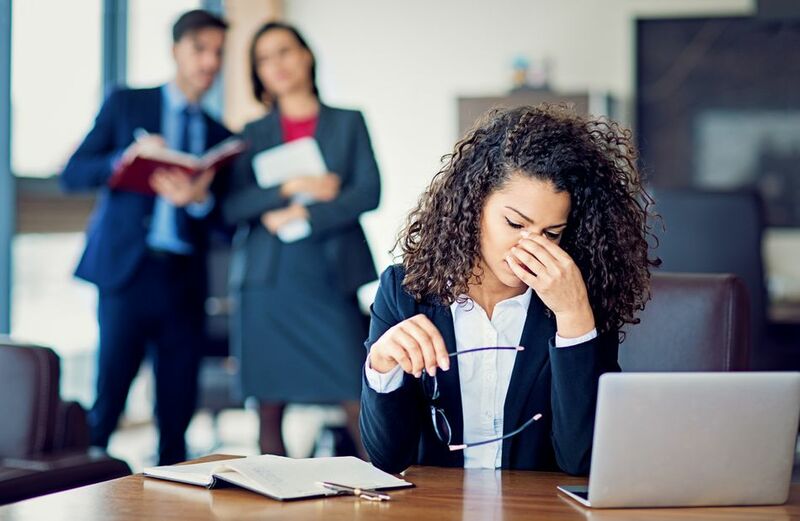 While this will keep you on his or her good side, it is important to note that Bad Boss likely won’t respect your desired work-life balance, so keep that in mind as you proceed, as well. Always arrive at Bad Boss’s office with pen and paper in hand and write down everything they tell you. Following conversations with Bad Boss, review your notes to clarify any ambiguities. Your notes will also provide a handy point of reference when completing the assignment. Memorialize all assignments in writing, documenting in email or memo form what you understand every assignment to be. Place this writing in the file, or even better, send it to your boss to ensure you are both on the same page. Memorializing everything in writing is also a way to make sure that Bad Boss never crosses into harassment territory—if he does, you’ll have everything documented in writing to prove it. It is more important to complete assignments in a timely fashion than to craft a perfect work product. Bad Boss prefers to receive your completed written assignments well in advance of a filing deadline, so he or she has time to review and rework it or return it to you for additional research or revision. If Bad Boss does not receive your assignment by the deadline, they will seek you out or reassign it. Either way, you lose. Pick the brain of the employee who worked for Bad Boss before you to find out what pleases Bad Boss and what pushes his or her buttons. If the previous employee is no longer with the organization, find out why. Law firms and corporate legal departments can be challenging work environments. Diverse personalities, high-stakes work, tight deadlines, and fierce competition create a recipe for conflict and miscommunication. By keeping the tips above in mind, you will be better able to forge a fruitful relationship with your boss.